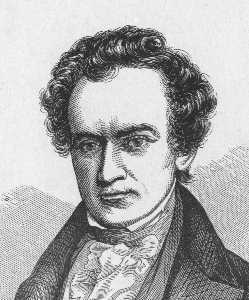 Born in Virginia and raised in southeastern Missouri, Stephen Fuller Austin is considered the founder of Anglo-American Texas. At the age of eleven years, he attended school in Connecticut and later graduated with distinction from Transylvania University in Kentucky. In 1813, at the age of twenty-one years, he was elected to the territorial Legislature of Missouri, and was reelected to that position each year until 1819, when he moved to Arkansas. Meanwhile, Stephen's father, Moses Austin, received a grant of land in Texas for purposes of colonization. The elder Austin died soon after returning to Missouri from a trip to Texas, but bequeathed his grant to Stephen with instructions to carry it to a successful completion. Accordingly, after many delays and frustrations with the Mexican government, Steven Austin introduced a large number of colonists from the United States. An unassuming man with a kindly presence, he was deeply respected by all, and achieved unparalleled influence over the often unruly settlers in Anglo Texas.